A job listing reveals that Mass Effect developer BioWare Montreal is looking for a multiplayer programmer to "take existing single player user experiences and make them multiplayer safe." 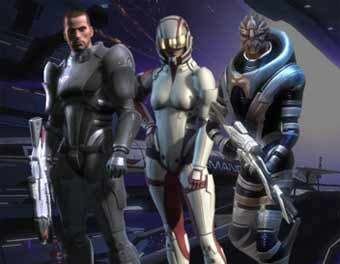 Is Mass Effect going multiplayer? We are working on Mass Effect, one of the industry's most beloved and acclaimed franchises, as we build our way toward becoming a fully self-sufficient BioWare studio. If you want to help us achieve our mission of delivering the best story-driven games in the world, and you dream of being part of a dynamic, talented and focused team, now is the time to get onboard. Multiplayer Programmers ensure the game engine and game systems work reliably and efficiently in a multiplayer environment. They work with both the front and back ends to take existing single player user experiences and make them multiplayer safe. Like I said, it's no confirmation, but then what else is BioWare working on that would require a multiplayer programmer? Right now they've got Dragon Age, Star Wars: The Old Republic, and Mass Effect, and the job posting singles out Mass Effect. We've reached out to BioWare for comment on the job listing, and will update should we receive a response. Update: BioWare's response: "Mass Effect is a rich, dynamic fiction designed as a trilogy. The team at BioWare is working on new downloadable content for Mass Effect 2 and are in the early stages of Mass Effect 3 development." Well that certainly does nothing to clear that up!